Make sure you are in an area with good lighting and hold or post the chart at eye level and at a comfortable distance. You may find it convenient to attach the grid to a wall at and stand 12 inches to 14 inches away (generally a comfortable reading distance). If you wear glasses, keep them on. If you wear bifocals, use the bottom or reading portion of the lens. Cover one eye and look at the dot in the centre of the grid. Note how the lines and squares appear and whether or not there are any distortions or breaks in the lines of the grid. Also note if the centre dot, a part of the dot, or any of the lines disappear. Blurred or double images might not necessarily be abnormal. 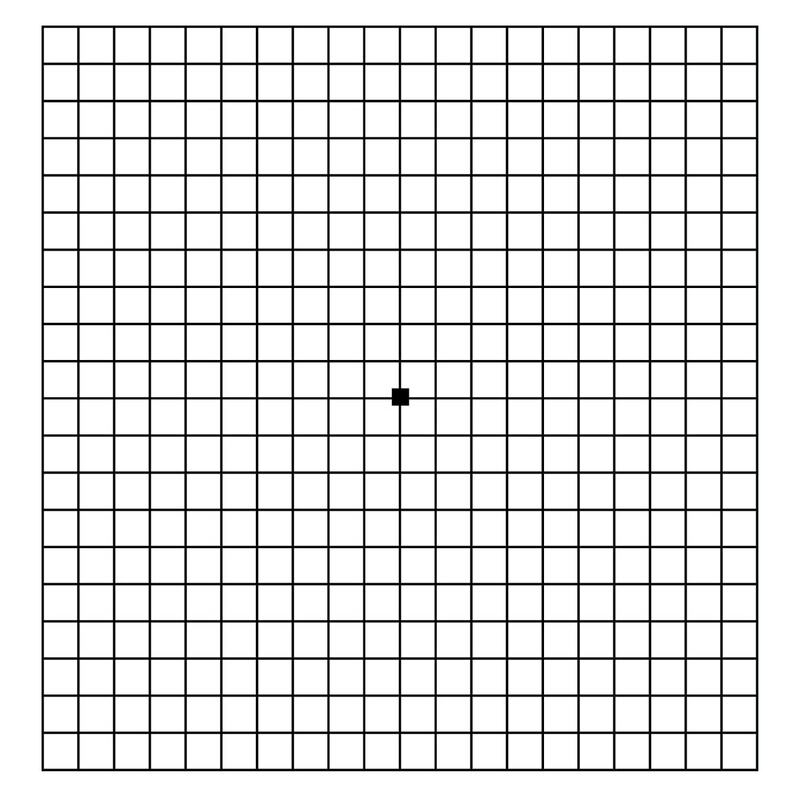 The use of progressive, lineless bifocals may introduce some distortion in the grid. Test the other eye in the same way. The whole process may take only 10 seconds. 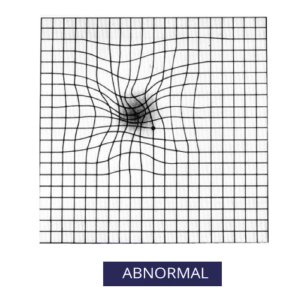 Check the grid daily, or as often as recommended by your eye care professional.